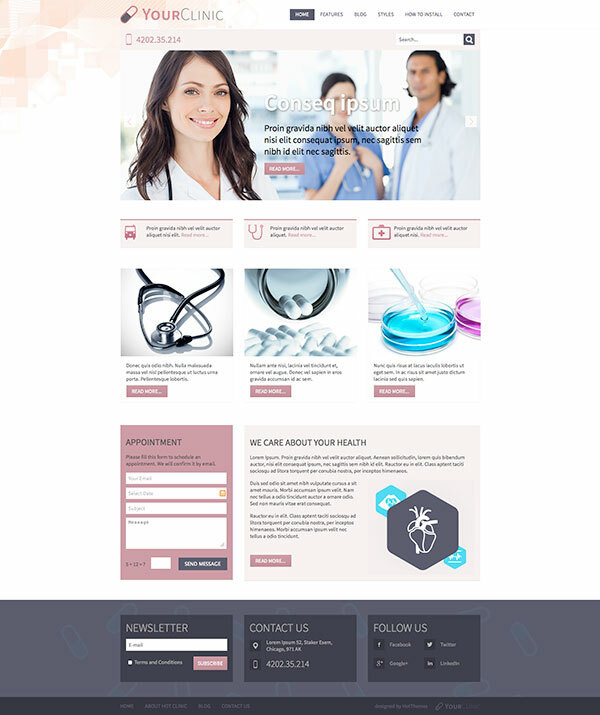 Clinic is responsive Joomla medical template which looks nice on desktop and laptop computers, tablets and phones. It's powered by Sparky Framework and equipped with several components and modules which enhance its possibilities. 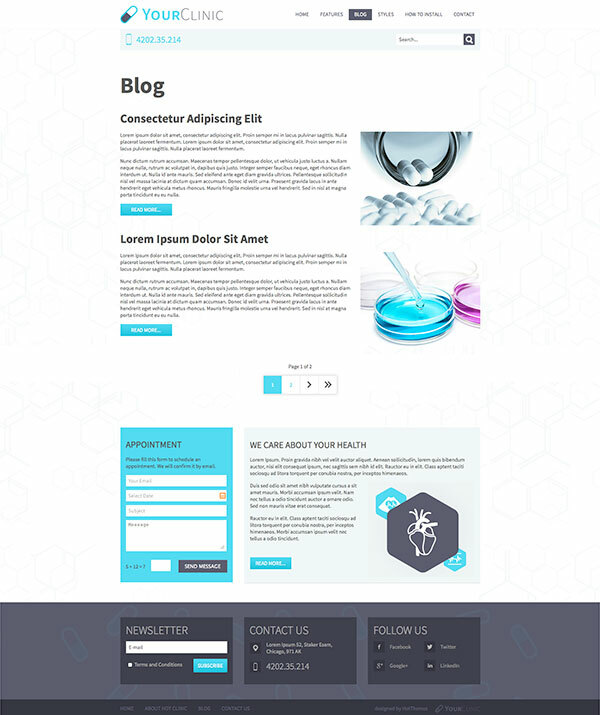 Between these extensions are 6 HotThemes' modules, K2 component (popular content management component) and AcyMailing Free (component and module for newsletters). All extensions are incorporated into the template and styled accordingly to the template's main design. An healthy man has many wishes. A sick man has only one wish, to become healthy. This old dictum describes the importance of health in our lifes. People whose job is to care about our health are medical doctors, nurses and people of other professions who works in clinics. The clinics could be of all sizes, from the smallest clinics where usually work just several people to the largest clinics where thousands of doctors and medical workers are employed. 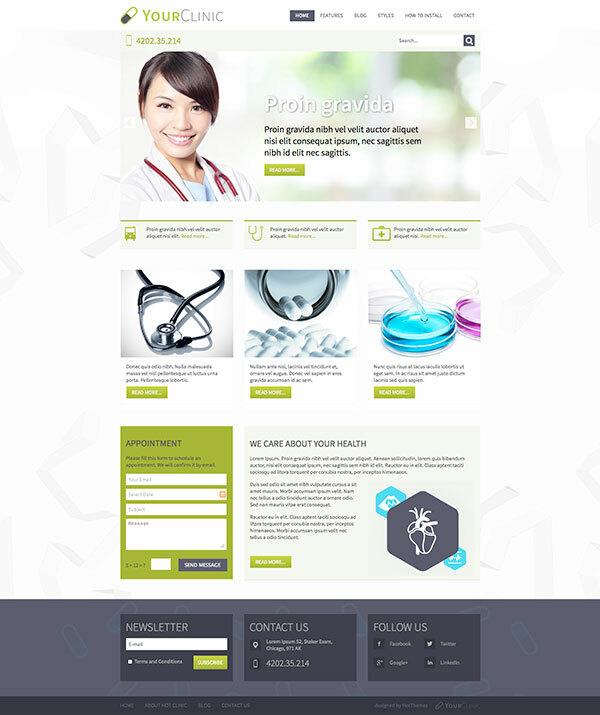 But for all of them, the Medical template Clinic can be useful for the development of the clinic's website. The clinics could be privately or publicly held. In all cases, they could have a strong competition. Good and modern presentation of the clinic's services is very important and it could help the clinic to stand out from the competition and gain more patients. So, as all other kinds of businesses, marketing in the medical business is a key to success. Every clinic should enable the potential patients to find it easily on the Internet. The clinic's website should present the clinic's services well, keep the existing patients up to date, and allow fast and easy scheduling of an appointment. This is where the Medical template can help you. 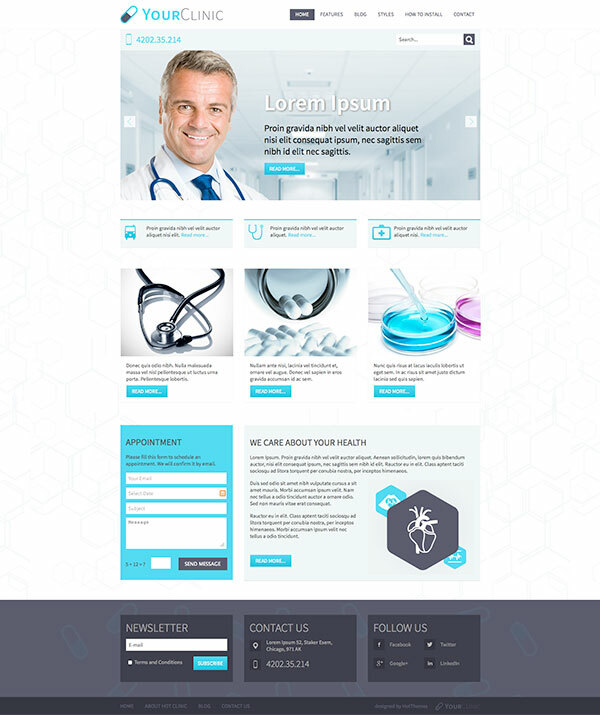 Hot Full Carousel, Hot Film Tape, Hot Maps, Hot Carousel, Hot Gallery and Hot Newsflash modules are included with Clinic - Medical template. Full support for K2 component is included. AcyMailing component for newsletters management is included. All commercial modules included in this template are free for you, if you buy template (you save $15 per module). All extensions are pre-installed and configured.